Mangroves are salty liberal, composite and lively eco-system which happens in inter-tidal areas of humid and subtropical. Bhitarkanika National Park is such a destination quite rich, full of green lively ecology lying in the land of estuarine of Brahmani- Baitarani in the Northern-Eastern bend in Orissa in Kendrapara district. The region is crossed by a system of streams with Bay of Bengal in the Eastern side. The passage among the twisty streams and rivers is a home of the second biggest feasible mangrove ecology in India. Bhitarkanika houses more than 215 bird species including the migratory birds from the Central Asia as well as from Europe. Huge crocodiles of salty water and variety of other wildlife reside in the ecology which makes one of the stunning Wildlife regions of Asia. The core area of Bhitarkanika Wildlife Sanctuary was declared as national park in 1998 to conserve the wildlife. Bhitarkanika National Park has 145 sq-KMS area. Bhitarkanika National park is known for its ecological, biological and geomorphologic importance. 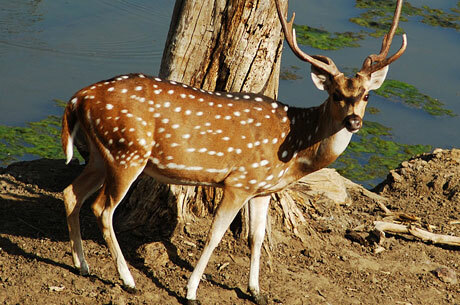 Bhitarkanika National Park includes mangrove jungles, rivers, backwater, creeks, mud flats, estuaries and accreted soil. 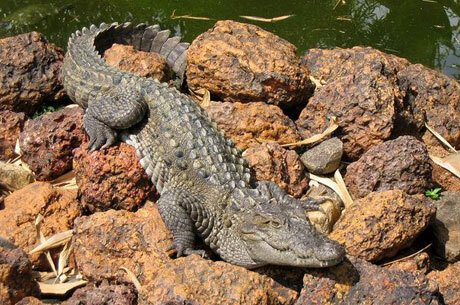 Bhitarkanika has highly endangered salt water crocodile and estuarine crocodile. Bhitarkanika Sanctuary has very rich avifauna, reptilian population and mammalian. The visitor can see here King Cobra, Water Monitor Lizard and Indian Python. There are many bird species in Bhitarkanika as Egrets along with Black Ibis, also Cormorants and Darters etc. Some other animals like Hyena, jungle cat, Fishing Cat, Wild Boar, Sambhar, Spotter deer and smooth coated otter etc are also reside in Bhitarkanika. Road: Chandbali is 30 KMS from Bhitarkanika and from here one can take the ferry.